Kristy is also chairperson for Tranby Aboriginal College and has previously been awarded the National Trust Print Media Commendation Award and the Australian Society of Archivists Mander Jones Award for her work as Co-author of Connecting Kin. Kristy holds a Masters in Human Rights Law and Policy at the University of NSW specialising in Indigenous rights. “I feel very humbled by this recognition, and want to use this opportunity to acknowledge and celebrate the many thousands of women who work tirelessly in our communities every day to support families, the most vulnerable people in our communities, and to make positive change,” said Kristy. 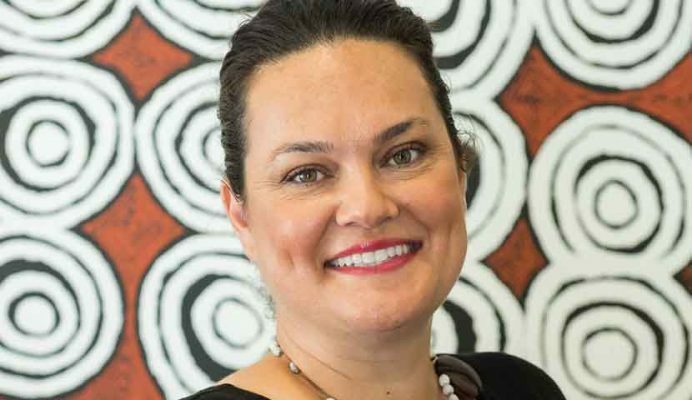 Originally from Rockhampton in Central Queensland, Kristy’s inclusion in the awards recognises her contribution and passion for making a difference in Aboriginal communities across Australia. As CEO of the AES, Kristy leads a national organisation that supports more than 1000 Aboriginal people each year into a career. Kristy also spends her spare time volunteering on several national and community Aboriginal boards. “Most women give up so much of their personal and family time to support others, and never seek out recognition, their reward is seeing our families and communities prosper,” said Kristy. Now in its fifth year, the Women of Influence Awards identify and celebrate bold, energetic women who capture the spirit of progress, helping shape a vibrant, inclusive, economic and social future for Australia. Visit www.100womenofinfluence.com.au for more information on the awards.